Following the August 9 shooting death of Michael Brown, I have read a number of opinion pieces and social media conversations suggesting that the heart of the matter involves not only race, but also class. Economic disparity between the races has been adjudged as pronounced an impetus as racial animus for the clamors for justice. 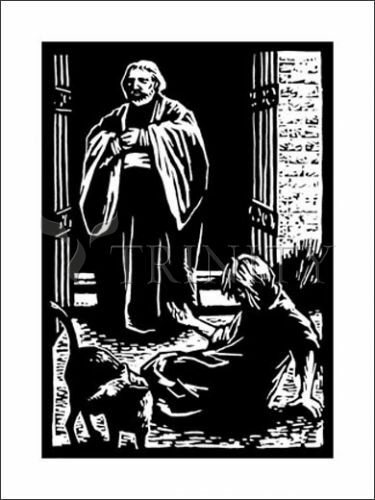 Lazarus, a poor man, lays his famished, ulcerated body at the gate of a man who is bountifully rich, yet abundantly blind to human need. Both die. Lazarus goes to a place of succor. The rich man, tormented in Hades, begs first for comfort, then that a warning of agonies to come be sent to his brothers so they might mend their avaricious ways. The reply to each request: “No.” The denial of heavenly help is not for a lack of compassion, but rather because a cosmic impassable chasm separates the eternal abodes of solace and suffering. This tale, for me, reflects current day circumstance, especially regarding the ever-widening gap separating poor and rich. One lens through which to view this worldly chasm is race. This past July, The African American Economic Summit, held in Orangeburg, SC, charting the rise in black unemployment and the decline in black homeownership and income, took particular note of a white-black wealth disparity of more than 20 to 1. 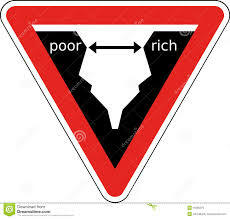 However, regardless of the position or perspective, that old aphorism abides: the rich get richer and the poor get poorer. As a follower of Jesus, the one anointed to fulfill Isaiah’s prophecy, “to bring good news to the poor”, and the one who told a story in which the poor man is given a name (a sign of Jesus’ recognition of Lazarus’ identity and Jesus’ identification with Lazarus), I am called to stand on the side of the poor, continuing his ministry of preaching, through word and deed, good news with my sisters and brothers in material need. The cosmic message of Jesus’ tale holds fast. Between this world and the next (whatever that may be), a great chasm is fixed. Therefore this life is my time to act for the sake of those in need, for beyond the veil of death, I will have no chance and no choice to do anything.